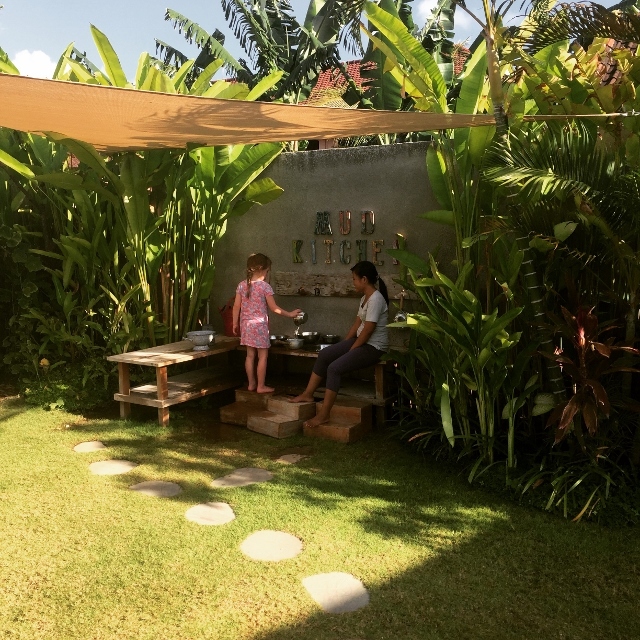 The number one question before we travel to Bali is what things to do in Bali with Kids? 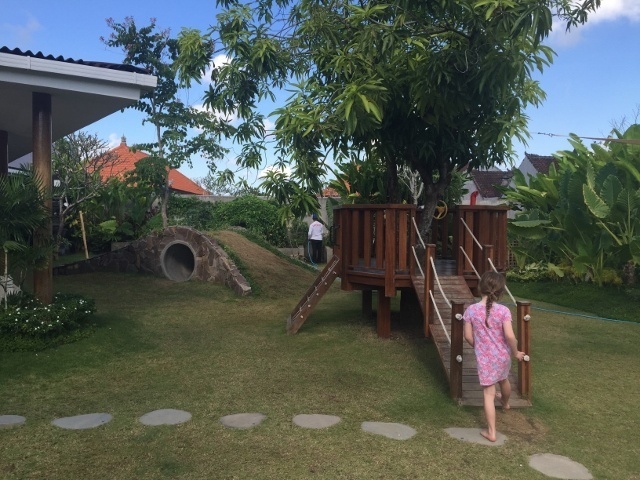 We often find when staying in villas or hotels in Bali without kids clubs, that Charlotte loves playing at the different play centres that are available to all. She loves the interaction with the other kids and has made great friends. 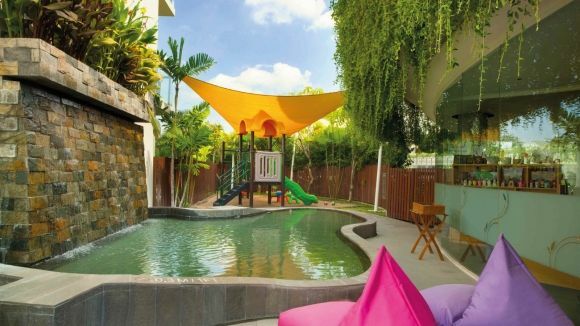 Bali resorts with kids clubs can be expensive but the following options can help out if you choose to stay in a villa or cheaper hotel. Most mentioned below would suit younger kids under 6 years but check out the websites to see if it might suit your older kids too. 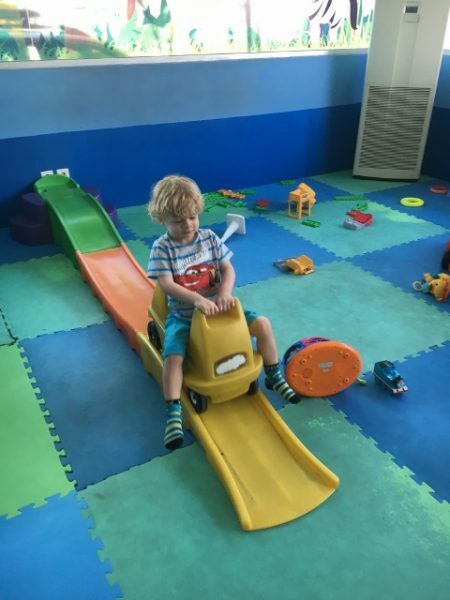 As is the case in Australia, be sure to take socks with you to indoor play centres or they can be purchased quite cheaply at each place. Such a great place in Sanur for young kids to have some fun in air conditioned comfort. The on site cafe does good coffee and snacks with free Wifi making it a great place to let the kids run wild for a couple of hours. I was really impressed with the cleanliness of the place with hand sanitiser and temperatures checked with an ear thermometer on arrival. 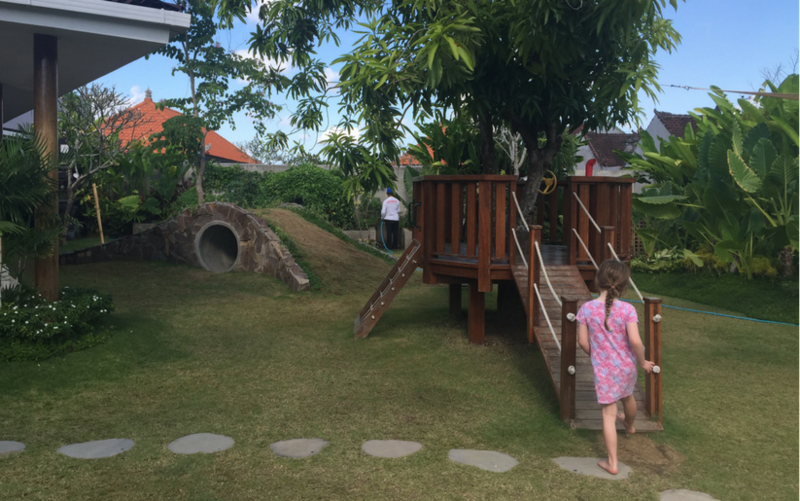 The Garden Kids Club in Canggu is a fabulous place to leave the kids in very capable hands for a couple of hours. 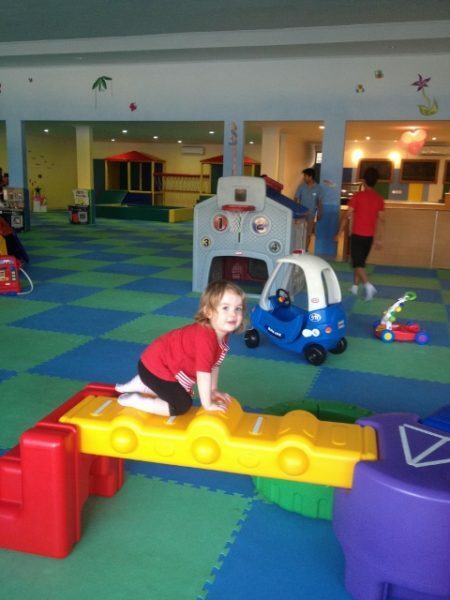 Charlotte loved playing in the indoor space and we returned on the Saturday to explore the outside area. The on site cafe Sprout also has delicious food and Wifi. 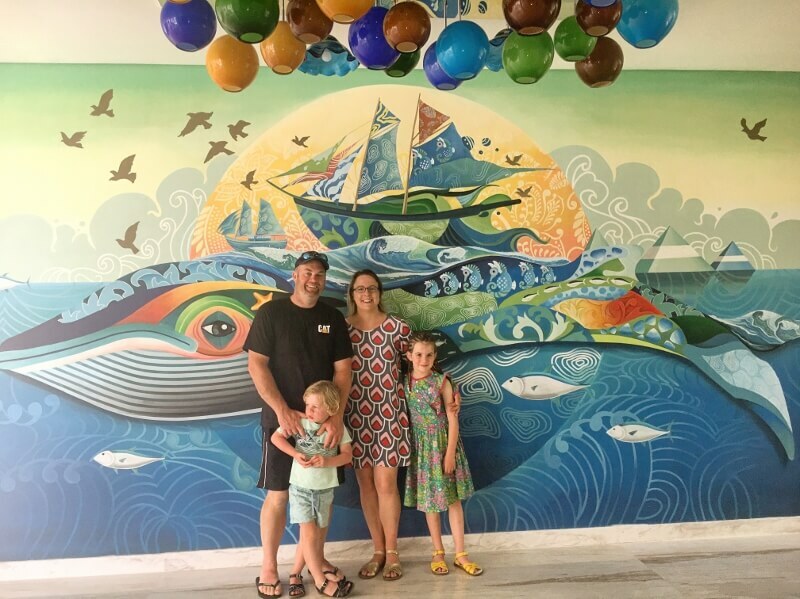 Back in 2013 when the Cubbyhouse kids club was located at Semara Resort, Charlotte had a fun couple of hours playing and painting. 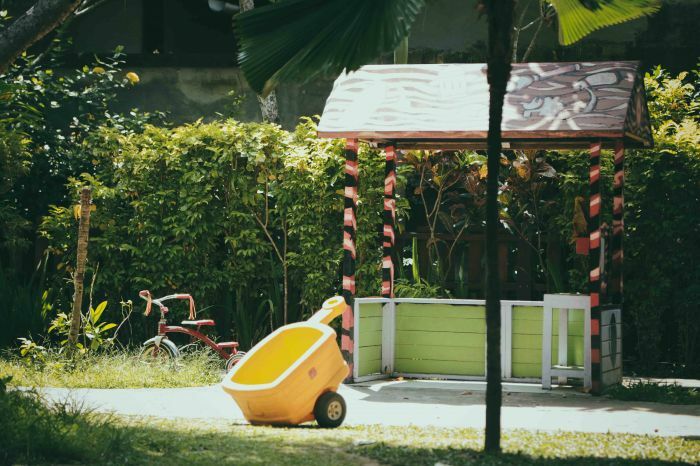 It has since moved to Canggu Club and is a great indoor option for kids aged 2-12yrs. 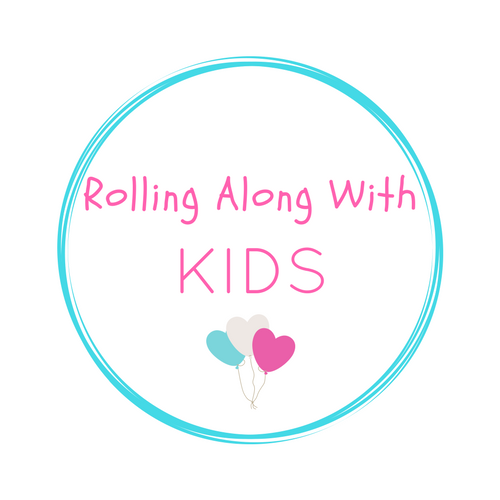 Kids under 2 are allowed but must be accompanied by a parent and not a nanny. 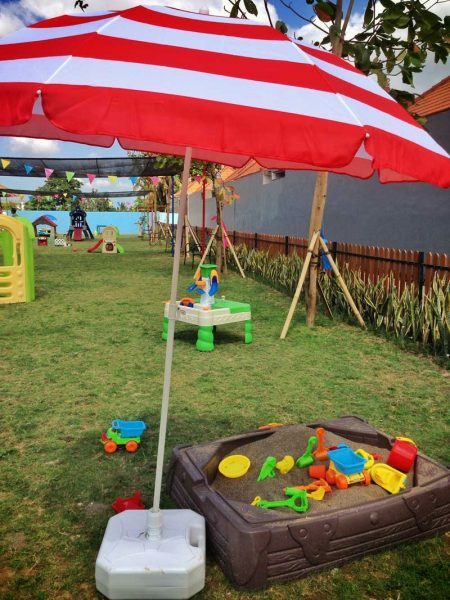 An early learning centre catering for 15 mths to 6 years, Anak Atelier is located in Uluwatu so a taxi or driver would be needed. Check their website for times that the playground and kids club is open. [email protected] is located at Sheraton Kuta Resort and is open to non hotel guests who spend at least around $35aud at Shine Spa. Featuring an outdoor water area and other fantastic aspects of a hotel kids club this is one to check out. 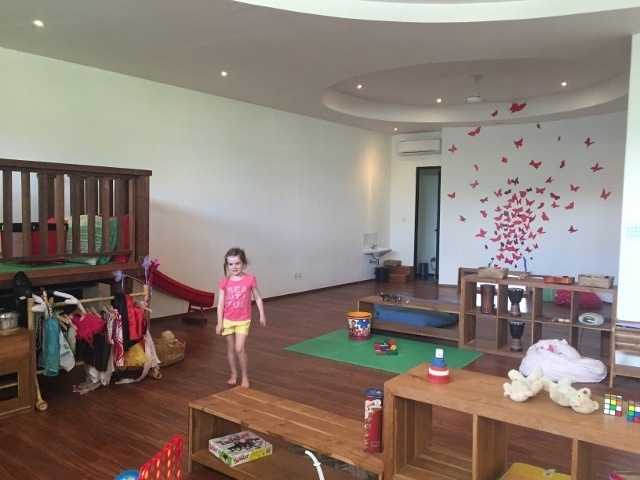 Check out Cheeky Monkeys for daycare in 2 locations Sanur and the Sofitel Resort Nusa Dua. 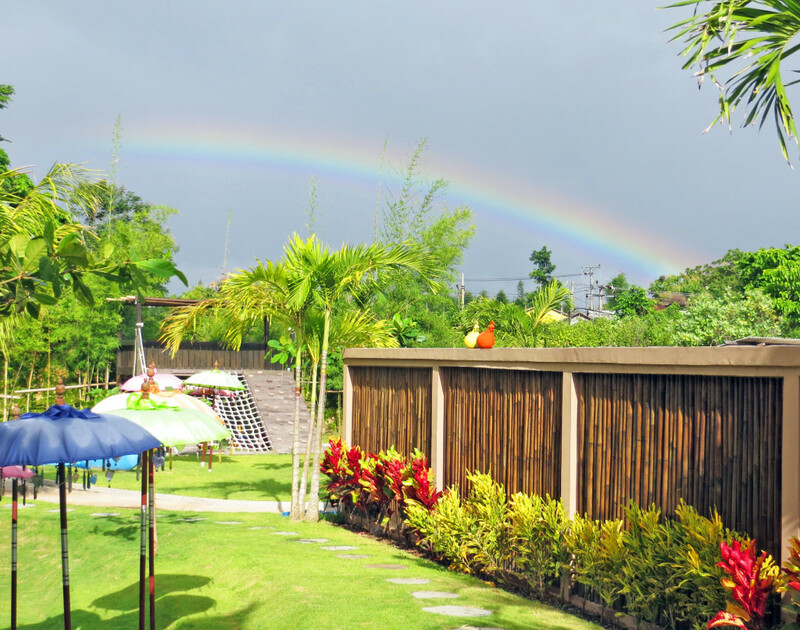 Bookings are required at Sanur. 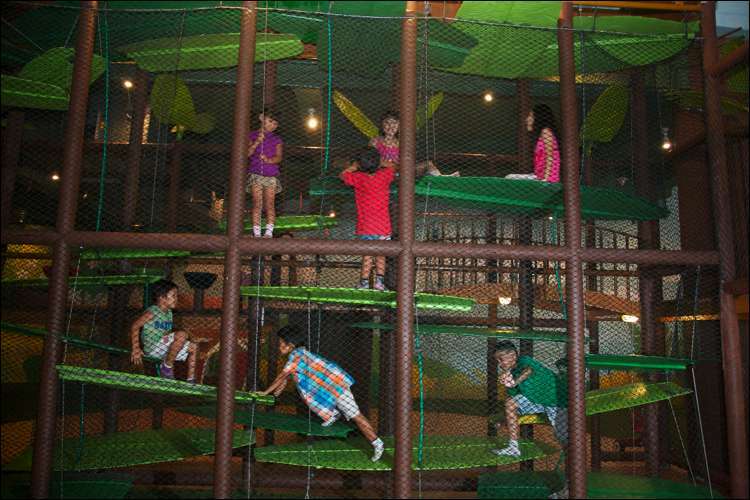 A playcentre located next to Cheeky Monkeys in Beachwalk Mall Kuta. 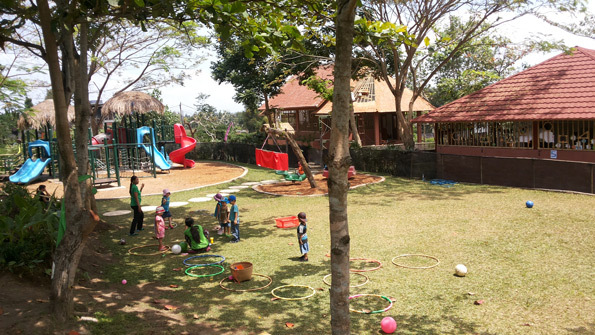 The kids can have a play and also have access to the playground through Cheeky Monkeys. 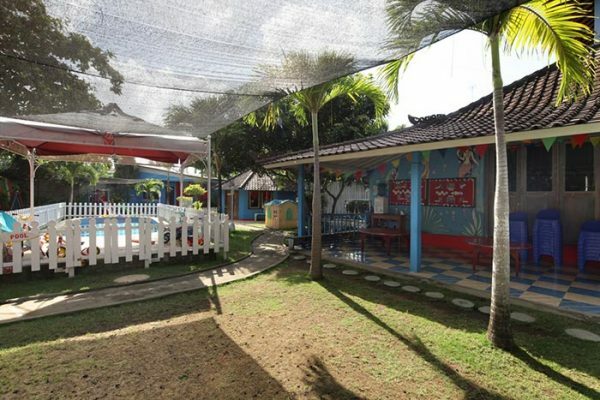 A daycare centre north of Seminyak where kids between 6 months and 5 years can go to learn and play. Check out their website for details. 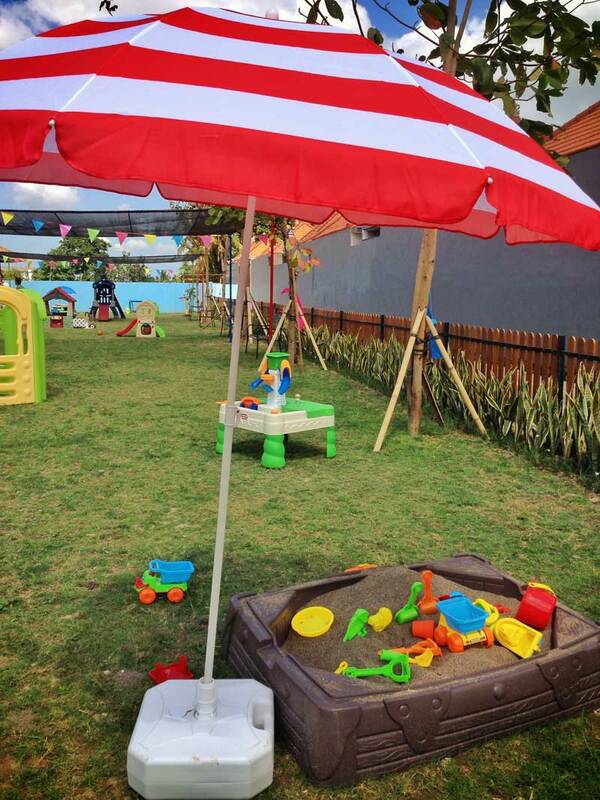 Located in Seminyak, Spice is for kids 14mths to 5 years. They do take casual enrolments but make sure to contact them through their website to see what availability is like. Located a 10 minute drive south of Ubud this International primary school also excepts casual visits. Check out their website to contact them to secure a spot. Would love to hear of any other great options that you have visited or have heard of. Email me or message at Facebook or Instagram.